Customize your computer and add a bit of light with the Alchemy 2.0 Magnetic LED Strip from BitFenix. 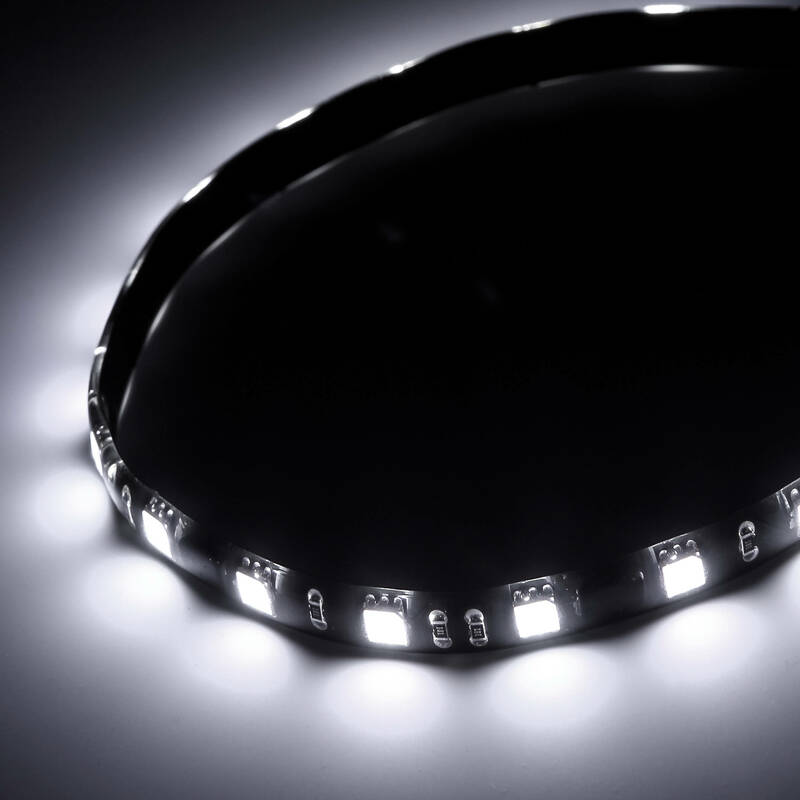 This 4.75" white LED light strip features powerful magnets to keep it in place. Each LED chip consists of three individual LEDs and uses BitFenix's TriBright technology for brighter light. Box Dimensions (LxWxH) 7.75 x 6.0 x 0.25"
The BitFenix Alchemy 2.0 Magnetic LED Strip (Purple, 4.75 ) B&amp;H # BIAMAG12PK6 is purple but it does not produce UV light. The connector type is proprietary, it then connects to a molex.